In a future as bright as nuclear fire, even the puppet masters dance on strings. The battle over Shift — the electoral process that will decide the nation’s fate — is heating up, and both sides are fighting dirty. Micah and Isaac Ryan, the brothers sitting at each political party’s head, resort to tooth-and-nail tactics to eke out as many votes as possible. The Beau Monde observes everything, sticking their fingers in the pie only to change the flavor to their personal tastes. Everyone else has one simple goal: surviving the battle. Kai struggles with a job bigger than she’s ever faced, against a foe she can’t hope to outwit. Dominic, his law enforcement job precarious after betraying the drug runners he once smuggled for, must keep his head down even as he pokes his nose into the game of higher politics. And Nicolai, the unwitting harbinger of the Beam itself, concocts his own plots to overthrow the arrogant Ryans once and for all. Yet all their efforts — great and small alike — will pale in comparison to the oncoming storm, the cataclysmic return of one of history’s greatest figures. Someone from the Beam’s very conception is about to appear anew, and with humanity interconnected like never before, their footsteps will rock the NAU like a meteor strike. Shift is finally here. But even those who think they control its sway are not prepared for what happens next. 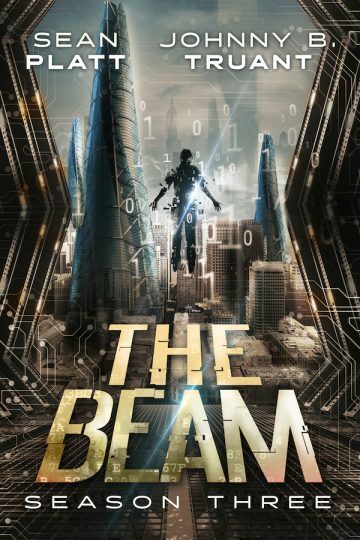 Get Lost in The Beam NOW!